I apologize for not posting a Wednesdays with Will recently or on time, as this weekly blog is probably my favorite of the week, but I’ve had several things going on recently that have prevented me from writing. However now things are slowly getting back on track. 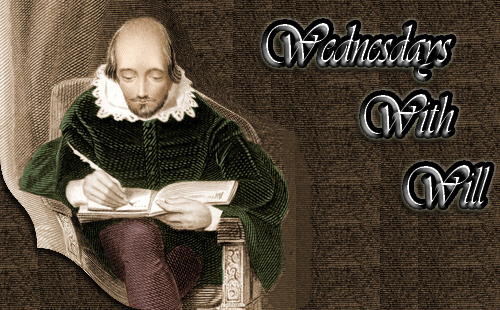 This week, I’m going to review a Shakespeare film that is different then my previous Wednesday with Will reviews. 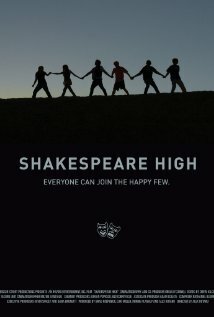 This week I’m tackling a documentary, not about Shakespeare but about how Shakespeare and the arts have an influence on high school students. This is an engaging documentary showing students from all walks of life, like inner city ethnic students to an all girls Catholic school to middle class white kids who still have their own problems and how the arts have shaped and changed these kids for better.We also follow them through the competition and feel their joy as they win or the pain as they lose. Included are interviews with four famous actors who participated in this competition when they were in high school. Interviews include Kevin Spacey (Seven, The Usual Suspects, Superman Returns), Val Kilmer (Tombstone, Batman Forever, Real Genius), Richard Dryfuss (Jaws, Mr. Holland’s Opus), and Mare Winningham (St. Elmo’s Fire, Hatfield’s and McCoys, Swing Vote) and how their participation in this competition shaped them as actor. One of the best moments is when Spacey and Winningham attend their (along with Kilmer’s) Alma mater and give advice and encouragement. One flaw in the movie, in my opinion, is that it touches on but never fully explores the issue of modernizing vs traditional explorations of interpreting Shakespeare. This is a discussion that I’ve had with some of my actor and writer friends and I don’t think we’ve ever reached an agreement. I view myself as a modernist who enjoys a different setting for the Bard’s works. However I see the argument for keeping the traditional, classical interpretation of Shakespeare. However this is a broad topic and could be explored in its own full length documentary. However if the subject is not going to be more fully explored, it shouldn’t be brought up. Overall I recommend this fascinating and educational documentary which is currently streaming on Netflix.